One of the reasons celebrities become popular is because of their unique look. But it turns out, many celebrities aren’t as one-of-a-kind as they want us to think. 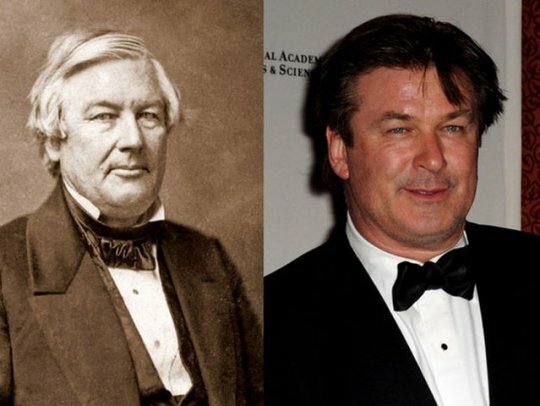 As proof, here are ten celebrities who share their faces with historical doppelgangers. 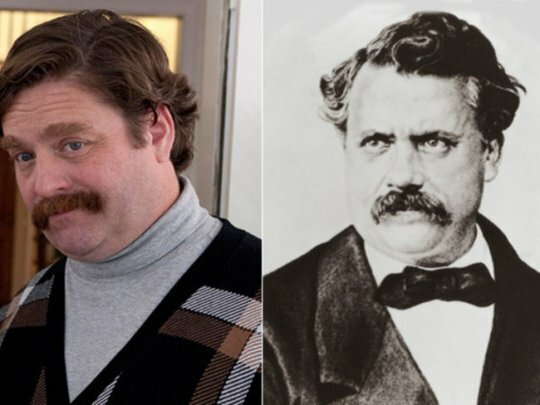 Everyone’s favorite goofy actor bears an eerie resemblance to a soldier who fought in the American Civil War. 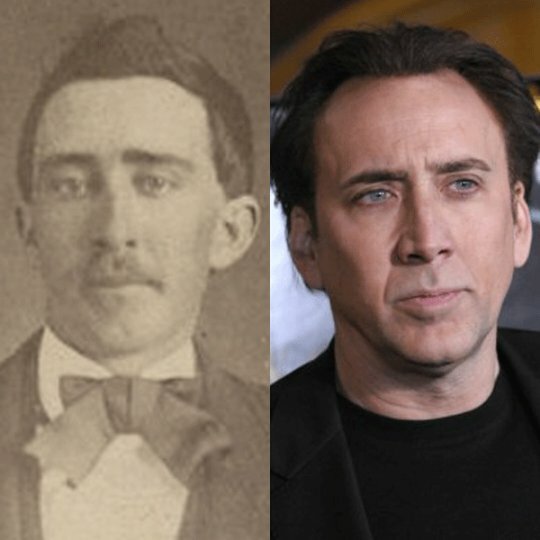 The likeness is so strong, some people theorize that Cage is actually a time traveler from the 1800s. 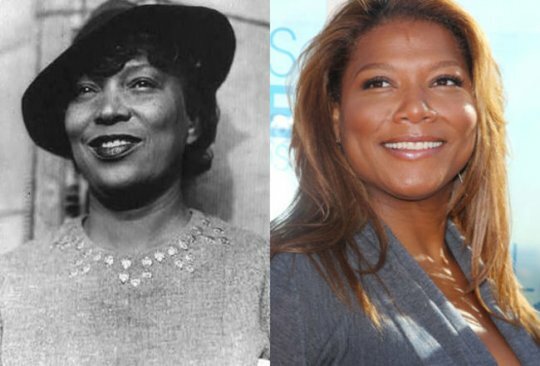 Singer and actress Queen Latifah could easily be mistaken for author Zora Neale Hurston. If they ever make a biopic of the author, we’re sure Queen Latifah will be getting a call. Comedian Zach Galifiankis is most famous for his role in The Hangover trilogy. Louis Vuitton is known for his leather handbags and suitcases that have his initials plastered all over them. Hey, we all have our talents. 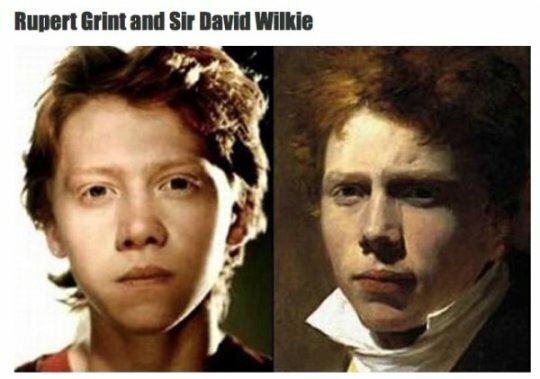 Ron Weasley—sorry, Rupert Grint—could definitely be mistaken for Scottish painter David Wilkie. Wilkie could easily fit into the Harry Potter series’ red-haired Weasley family. JLaw is one of the biggest stars in the world, but it turns out this isn’t the first time someone who looks like her had a movie career. Actress Zubaida Thawart was a star of Egyptian cinema in the 1950s. 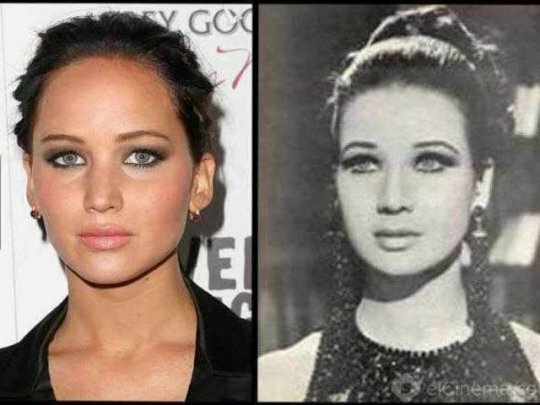 Although she was never as well-known as Jennifer Lawrence, her beauty is timeless. 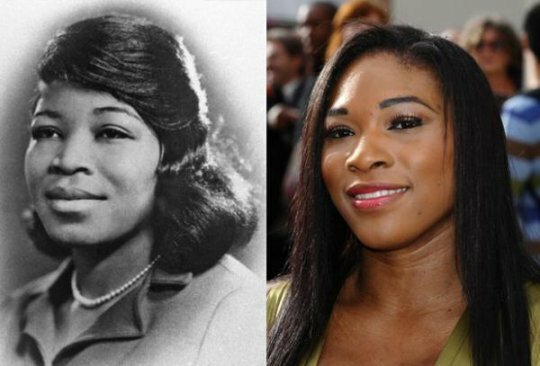 Tennis star Serena Williams and civil rights advocate Betty Shabazz are both powerful women in their own right. They even share the same look of determination on their similar faces. Alec Baldwin is famous for his icy blue eyes and gravelly voice that commands respect. President Millard Fillmore is famous for consistently being ranked as one of top ten worst presidents in US history. Well, the president’s legacy may not be great, but he does have the honor of looking like a famous actor, so that’s something. No, you’re not seeing things—it really does look like talk show host Ellen DeGeneres put on a wig and a fake beard in the picture on the left. 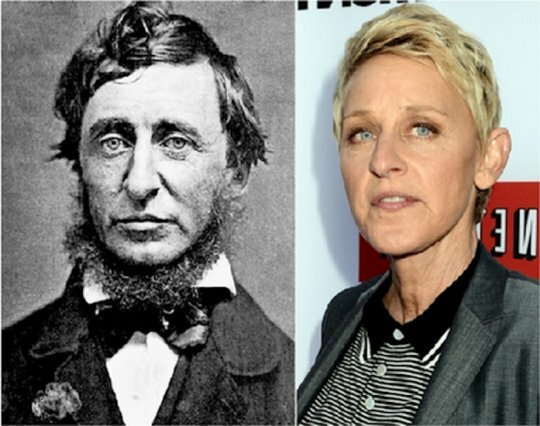 Who would have guessed that DeGeneres’s doppelganger was a philosopher famous for his essays on civil disobedience?